or create notes from fragments of internet pages. Turn web pages into reader-friendly articles without ads or irrelevant content. Capture only the text and images you want, and save them to read any time, on any device. Need only the images from a web page? 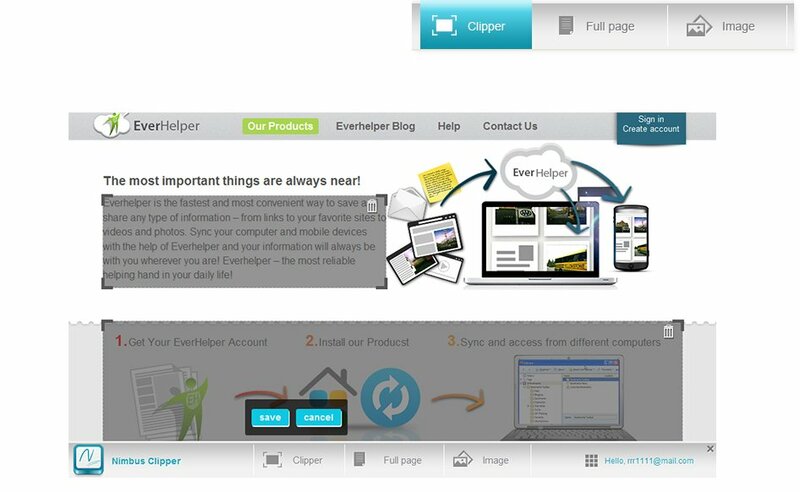 Nimbus Clipper will identify all the images on the page so you can easily select the ones you want to capture.